Quality and value for the money are more important now than they have ever been when it comes to the important things we buy. 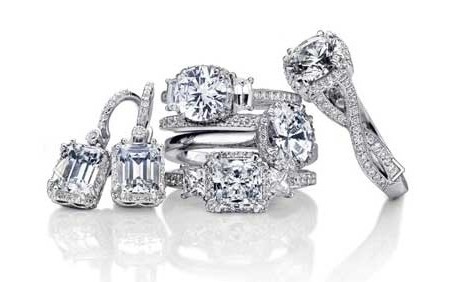 A diamond is one of the largest purchases most people make, behind a home and automobile. Just as with any major purchase, you must understand exactly what you are purchasing, and what makes diamonds that may appear similar, have vastly different values. The Gemological Institute of America (GIA) has established a system for grading diamonds, commonly known as the four c’s. This system, when used accurately and completely, is the best way to assure the quality and value of a diamond. It is worth noting that this system can only be accurately applied when the diamond is loose, thus the reason behind McGivern Diamonds policy of only selling loose diamonds. It is possible to send a diamond in to the GIA, and they will grade the diamond. This is what is referred to as a GIA certified diamond. The simple fact is all jewelers cannot sell the same diamond for the best price, but they still must make it appear that way. Thus many other certificates exist that are far from accurate, and it appears you are getting the same grade diamond, for much less money. In the end, the real question is, just because some certificate states the diamond is a certain grade, will GIA agree? Most likely not, thus these other certificates can be discounted quite substantially, depending on how inaccurate they are. Wherever you end up buying, stick with a GIA certified stone, they are the industry standard. There are many other grading systems that are used to represent diamond quality. However, it is the GIA system that is recognized in the diamond industry. The GIA is a non-profit organization that has no interest where you purchase your stone. Unfortunately, too many other so called “independent” labs are for profit, with the jeweler’s best interests in mind, not the consumers.